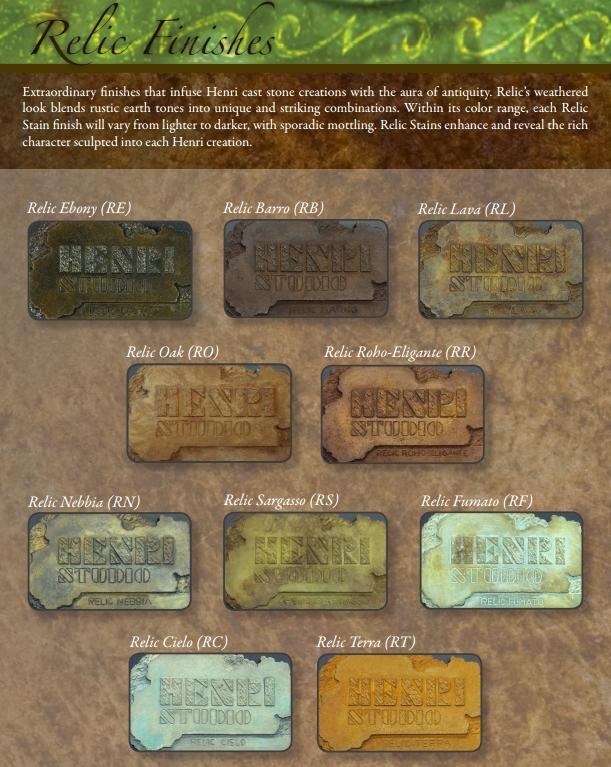 Elite World of Fountains & Statuaries offers an unparalleled selection of Henri Studio popular finishes. From traditional colors to popular Hi-Tones, from rich and radiant European antiques to subtle, fashion forward stains, the vivid palette of Henri Studio finishes are the hardest and most durable available in cast stone. 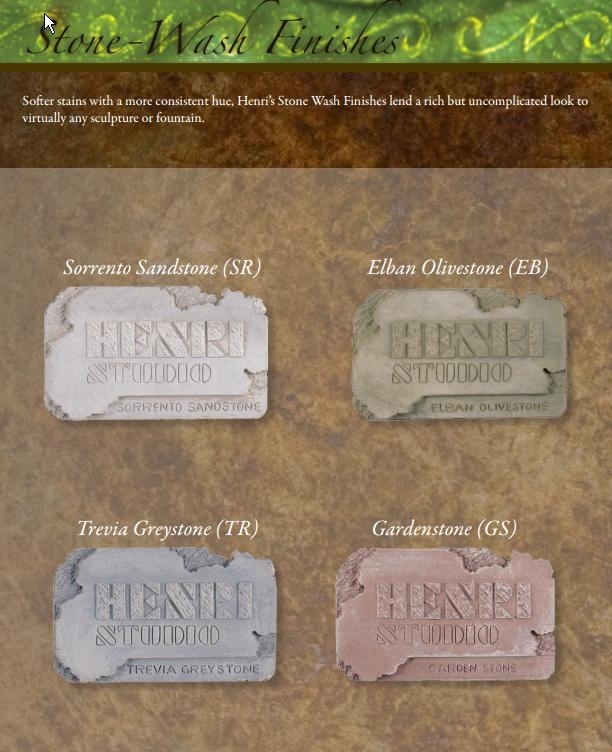 There are four categories of Henri Studio finishes – and all are tasteful, attractive, and long lasting. 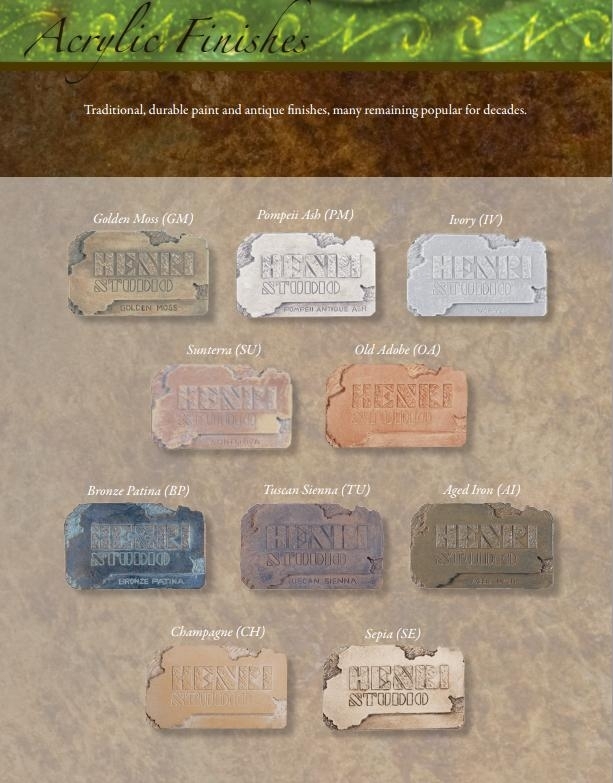 Henri cast stone without a paint or stain finish, the most refined and unblemished available. Subtle tonal highlighting in which various hues of color tones are applied discretely to a given piece, blended to the perfect overall effect in vibrant but tastful fashion. Only select Henri items are available in Hi-Tone.